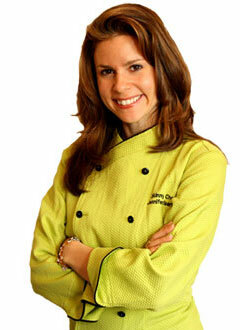 Thank you for your interest in our premium content inside the Skinny Chef® membership area. If you are a member, please login from the blue LOG IN panel on the left. If you are not a member, then join the Skinny Chef® community by selecting the desired product and/or membership option below. While celebrities can hire personal chefs and nutritionists to take the guesswork out of slimming down while eating real food, we regular folks don’t have that luxury. 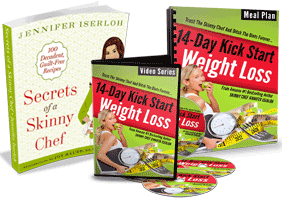 However, the Skinny Chef 14-Day Kick Start Meal Plan is the affordable next best thing: by simply following this easy plan with delicious recipes, you will slim your body in just two weeks -- while kick-starting a healthier lifestyle. 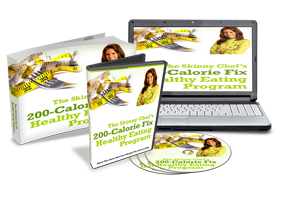 Find out more about the program and how you can get it today for just $7.95. 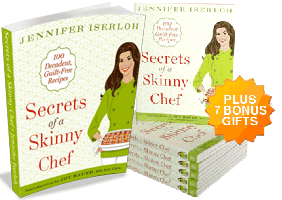 In Secrets Of A Skinny Chef (Rodale, 2010) I show how anyone can make simple, almost effortless changes in their lives that will end their struggles with yo-yoing weight and equip readers with the knowledge to make quick, easy-to-prepare, wholesome foods for themselves and their loved ones.